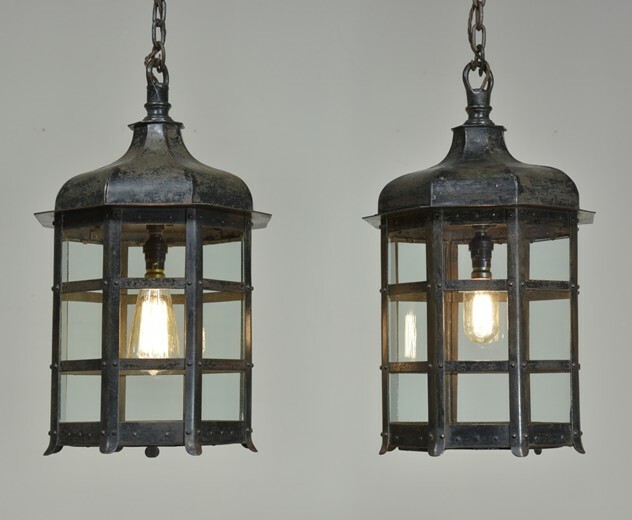 A well constructed antique octagonal iron lantern. English, approx early 20th century. Cleaned, re-glazed using late 19th century sash window glass, rewired. Retaining original ceiling roses / hanging loops and chain and unusual hooks between the chain and lantern loops. 19inches/48cms tall to top of lantern loops. 47inches/119cms .This could of course be altered.